High definition (or HD) video looks set to transform our experience of film. As technology progresses and, crucially, becomes more affordable, individuals are increasingly well equipped to watch movies in fantastically high quality. Indeed, many have described HD as being 'more real' than real life. Essentially HD describes any system of displaying video at a higher resolution than standard definition pictures. Generally, however, the term HD is used to refer to any system that has a display resolution of 1280 x 720 or 1920 x 1080. High definition video generally requires extra equipment. Most computers are capable of rendering video in HD quality, but your computer monitor may not be. For amateur video makers, however, one of the key limitations of HD is the necessity for a new camera. These have been prohibitively expensive until fairly recently; it was virtually impossible to get an HD-ready video camera for less than a few thousand pounds. Now, however, prices are falling to acceptable levels. Furthermore, man professional videographers are moving from film stock to HD digital; while HD is still not capable of capturing the same detail as HD, there are considerable savings to be made as the need for expensive film stock is eliminated. If you wish to make HD home videos, you will first require an HD-ready camera. Your choice of equipment will depend on what you already have; if you currently have a single-piece 'handicam', you will have to upgrade your entire camera. Good quality, small handheld devices are now very cheap. However, while it is possible to pick up an HD camcorder for around £100, you would probably be wise to spend around the £250 mark if possible, and receive a higher quality lens and more functional features. Alternatively, if you have a 'prosumer' or professional camcorder, you may be able to purchase an HD camera head to fit to your existing body. This is likely to be more expensive than buying a consumer level HD camcorder, but you will reap the dividends in terms of increased quality. There is frequent confusion regarding the difference between Blu-Ray and HD video. Blu-Ray is not a video format in itself; you would not record footage 'in Blu-Ray'. Rather, Blu-Ray is a delivery system that is particularly useful for HD video. HD requires massive storage space to accommodate the increased quality, and Blu-Ray discs can provide this. 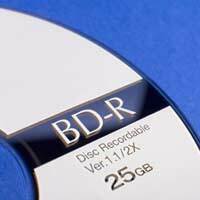 They are optical discs, like DVDs or CDs, but with a far higher capacity than other formats; dual layer Blu-Ray discs can provide 50 GB of storage space, equivalent to around 4 hours' video in the MPEG-2 format. Finally, you should remember that you will not be able to burn Blu-Ray discs in a regular DVD burner, in the same way that you cannot burn DVDs in a dedicated CD drive. As such, along with your new camera you will also require Blu-Ray hardware if you wish to get your video off your computer. However, this expense will ultimately be rewarded by stunning, high quality footage.